Twitter is making your 140 characters count for more. 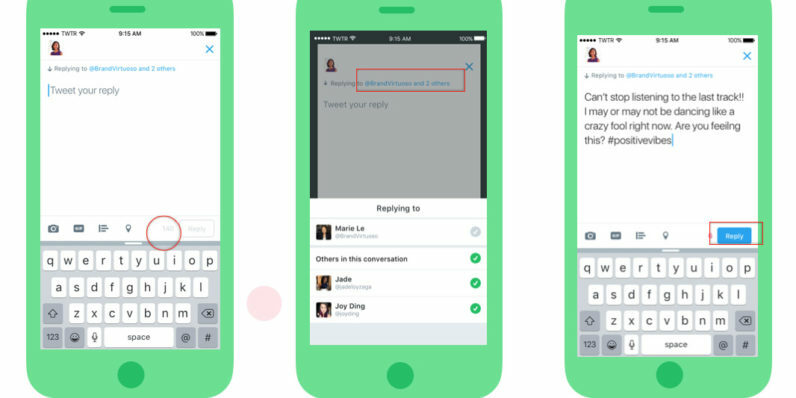 Starting today, @usernames won’t count towards your characters within a reply. In doing so, Twitter implemented some useful visual changes. For one, the person you’re replying to now shows up above the tweet text, which makes the presentation a little cleaner overall. Moreover, you can now easily specify who you exactly you’re replying to within a group conversation. Just tap the names next to “Replying to…” and pick the exact people you want to address your insightful commentary to. While some users may have already seen the features in testing, the feature is beginning to roll out widely now. The changes should help avoid some of the confusion , plus have a bit more space to get in that extra word or two during your next tweetstorm.